Jake and Eli first meet at a snowball fight on the slopes below Fort George on a winter day in 1811. The maps of both Canada and the United States looked very different than they do today. "Canada" meant the two provinces of Upper Canada and Lower Canada. Jake and Eli don't refer to "Canada". They talk about "the Canadas." The United States consisted of 18 states, but had recently acquired vast tracts of western land through the Louisiana Purchase. American settlement was pushing beyond the Ohio River into the lands that First Nations defended as their own. The War of 1812 was the last time the First Nations could rely upon a military alliance with the British to help fight against American expansion. From where Jake and Eli looked out that morning, they could look down the slope to the Navy Hall and they could see across the Niagara River to the State of New York, and the American flag flying over Fort Niagara. This fort had originally been built by the French and it guarded the mouth of the Niagara River where it enters Lake Ontario. Fort Niagara as seen from the foot of king street -- location of the mccabe tannery. Navy hall as seen from fort Niagara. To their left, as they look across the river, lies the town of Newark, where they make their home. In 1811, Newark was an important centre both because of the presence of the military garrison at Fort George, and as a commercial, agricultural, administrative and judicial centre of the region. It had previously been the capital of Upper Canada, but the governmentwas moved to York (present-day Toronto) so that it would be further away from the United States. Many of the streets that were laid out in Jake and Eli's day are still there today, but none of the buildings of the town survived the war. (If you want to know the reason why, then keep reading Jake and Eli's story!) Today the town is known as Niagara-on-the-Lake and people come there from around the world for the Shaw Festival and to enjoy one of the prettiest towns in Canada. On the modern map, the point marked "Fort Mississauga" is the place where the lighthouse stood in Jake and Eli's day. It guided fishing boats and commercial vessels in to the Niagara River where they could harbour at Navy Hall or continue up the current. The boats could go upriver as far as the town of Queenston, where Hanging Offence opens. This was a bustling town where ships were unloaded and the cargo carried up the Portage Road and reloaded on boats again on the other side of Niagara Falls. The view of queenston and the heights from the American side. The tall column is brock's monument -- not there in jake and eli's day! Queenston is where the Americans launched their attack on October 13, 1812. The river was difficult to cross, especially in the dark. Eventually the American army found a fisherman's path that led them to the top of the cliffs where they could come down on the British from behind. 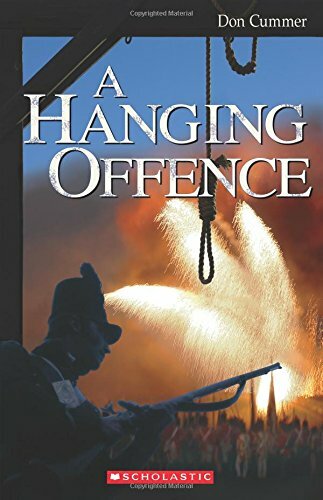 The rest of the story is told in Hanging Offence. The battle of queenston heights. Queenston today is much quieter than it was in the days of the portage trade -- and certainly more peaceful than it was in October 1812. The house where Laura Secord and her family lived is open as a museum, and you can get ice cream and chocolate at the gift shop. laura secord's homestead in queenston. The back of the secord homestead. Another town that is important to Jake's story is St. Davids, which is about two kilometres down the road that runs along the Niagara escarpment. This is where he meets the Lovelace family. 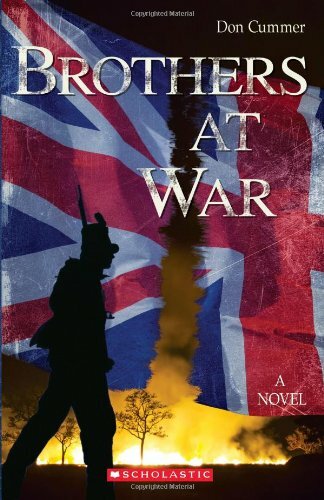 In the summer of 1812, Jake accompanies his father and Mr. Willcocks on a secret mission to a place called Mohawk Village. Today the town is known as Brantford. elizabeth simcoe painted this watercolour of mohawk village. In the years after the American Revolution, the Iroquois settled here on the lands they held along the Grand River. the iroquois settled along the grand river. Today, the Mohawk Chapel is a quiet place to contemplate the events that took place when John Norton led his war dance. The opening chapters of Blood Oath occur previous to and during the Battle of Fort George. Before the battle, the Americans were on their side of the Niagara River. To try to stop their anticipated attack, the British had to string their forces along the entire front. On the morning of the attack, the Americans pinpointed their landing on the shores of Lake Ontario, a few miles west of the fort, and came at Fort George from behind. The British narrowly escaped being trapped by this pincer movement. 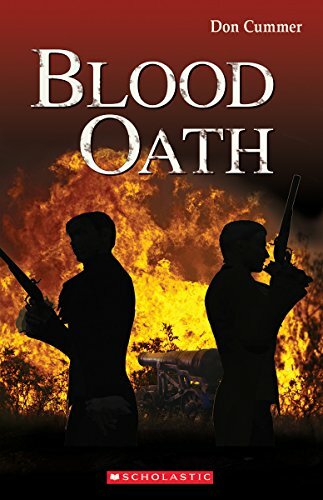 In Blood Oath the American army pushes out to try to drive the British back out of the Niagara Peninsula. They are stopped at Stoney Creek, which is now a suburb of Hamilton. After the Americans retreat back to Fort George, the British and Iroquois press forward, and set up advance posts from where they can harrass the enemy. One of these posts was at the De Cew house, near modern-day Thorold. The First Nation's warriors set up an ambush for the Americans at a place called Beaver Dams. The cairn commemorating the battle has been moved to downtown Thorold, but the battle itself took place on a lonely road that today runs on the other side of the Welland Canal from the town.